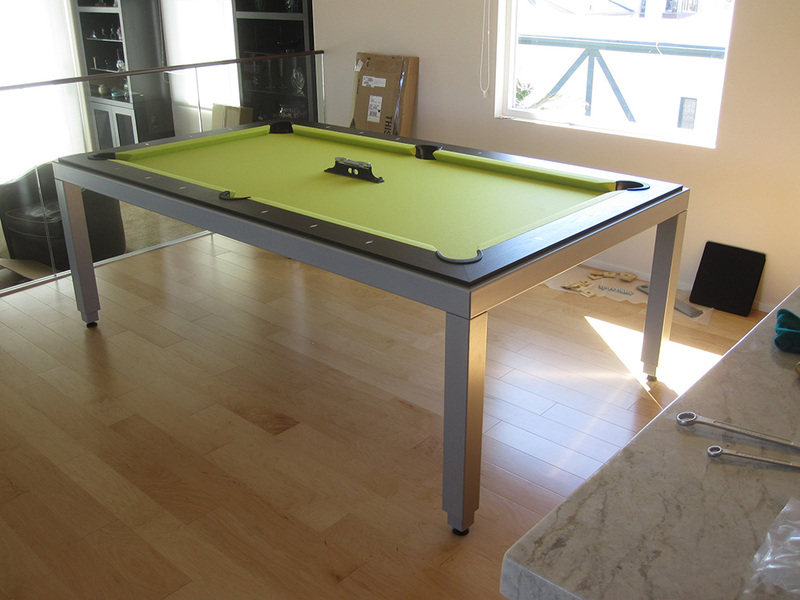 Here we are in Manhattan Beach, CA delivering and installing an Aramith Fusion Dining Pool Table. 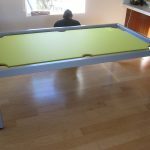 This ultra modern, fully customizable dining/pool table features a sleek all steel frame, available in either powder coated steel or stainless steel. This European design table can comfortably accommodate up to 10 people dining on it. After dessert you will absolutely amaze your guests as you remove the wood tops, revealing a slate pool table beneath. 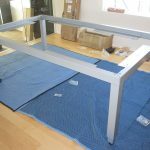 Once the dining tops are removed, you will further amaze all, as you effortlessly change the height of the fusion dining table. 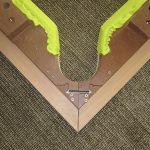 All Aramith fusion tables feature a standard easy-lift system which changes from 30″ dining table height to 33″ pool table height. 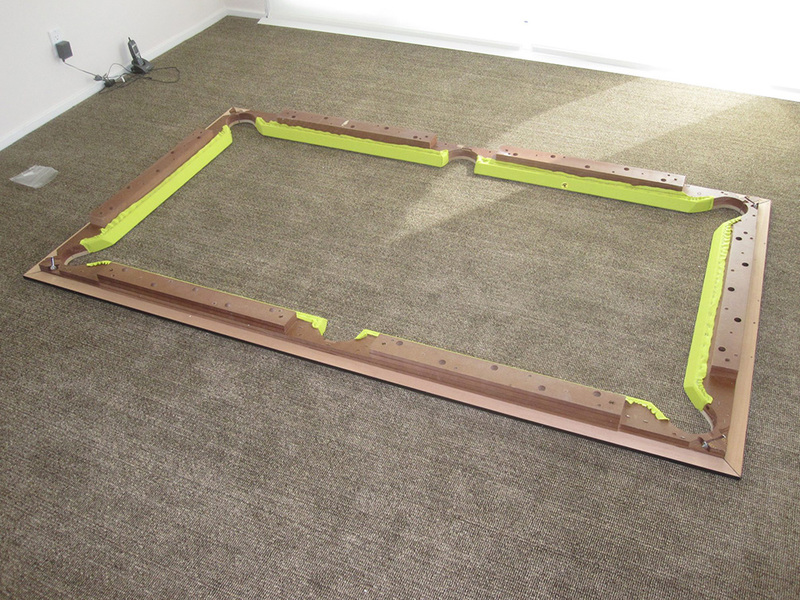 This model is powder coated steel with wenge wood. 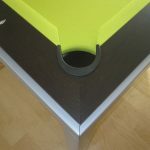 All fusion dining pool tables now feature Championship Billiards Tour Edition cloth, our client chose their newest color, lime green. It is also shown with the optional benches. Which are also now available in stainless steel too.